The Panama papers case was launched on November 3 and the court held 35 hearings before concluding proceedings on February 23. The case was based on several identical petitions by Pakistan Tehreek-i-Insaf chief Imran Khan and others about alleged illegal assets of Sharif's family in London. Pakistan's Supreme Court is set to give a decision in the Panama papers case against Prime Minster Nawaz Sharif and his offspring amid speculation that a negative ruling may force him to step down. The Supreme Court announced on Wednesday that its five-member bench will issue a verdict in the case on Thursday. The case was launched on November 3 and the court held 35 hearings before concluding proceedings on February 23. The case was based on several identical petitions by Pakistan Tehreek-i-Insaf chief Imran Khan and others about alleged illegal assets of Sharif's family in London. 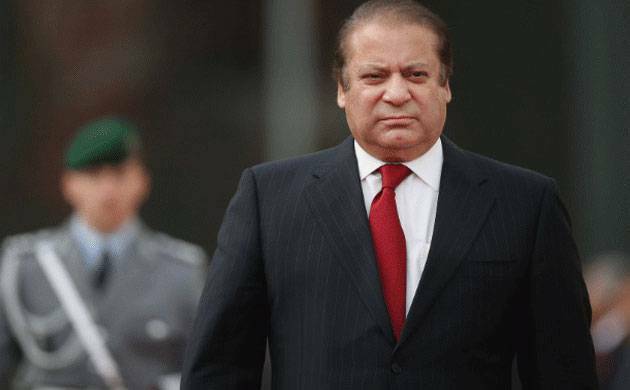 The petitioners have asked the court to disqualify 67-year-old Sharif under Article 62 and 63 of the constitution because he was involved in corruption. It is generally believed the court may not disqualify the Prime Minister but it may pass comments which will bring moral pressure on Sharif to step down. "I don't think he will be disqualified but his moral authority may be impacted," said Manzoor Wassan, a senior leader of opposition Pakistan People Party (PPP). Asif Ali Zardari, the co-chairman of PPP, in an interview with a private TV channel asked Sharif to resign in case the decision went against him. Zardari's handpicked Prime Minister Gilani stepped down in 2012 when the Supreme Court convicted him for disobeying court orders. Zardari chaired an important meeting of the PPP also called another meeting today after the court decision to assess the political situation. Sharif's nemesis Imran Khan and his party announced that it would launch a movement for the next election irrespective of the decision. Khan held a meeting of party leaders on Wednesday and asked them to remain in Islamabad to decide the further course of action. Awami Muslim League (AML) chief Sheikh Rashid Ahmed, one of the petitioners, said that the decision would be "historic". "It will result in a political earthquake in the country," he said in Rawalpindi. "People love Nawaz Sharif. It is not about the primeminister speaking. It's what he's speaking. His narrative is constructive and about development and progress. Eyes forward, mind focused, heart ready...game on, world! Wazir-e-AzamNawaz Sharif," one of her tweets said. Sharif's supporters are adamant that their leader is"innocent" and will emerge stronger after the verdict. "His name is not in the Panama leaks. He has not committed any wrong. So he will be victorious," said Railway Minister Khawaja Saad Rafique. Rafique also said that the election will be held as scheduled in 2018. Security has been increased in and around the court. Dozens of policemen and personnel of law enforcing agencies are present on the court premises. Regardless of the impact of the decision, it is believed that it will be an important milestone in Pakisan's fight against corruption.